Personal computers are very cheap nowadays, any low price netbooks must have much better performance than Raspberry Pi, so why we use such an deficient card-size computer like Pi(may be autosadism)? Or consider another question: we already have many very popular embedded platforms, such as Arduino, and Arduino is very cheap, too, so why we use Raspberry Pi to do something it can do? I want to talk about this from my personal view. Let me start it from a story. Long time ago I ever wanted to build a system which combines the desktop & embedded software, e.g. a handheld device which has an embedded OS, it can interact with the Windows software. But I couldn't develop the embedded software myself due to my knowledge limitation, so I always want to learn some embedded software development knowledge since then, but because of busy work the plan has be lying on the table for a long time. Sometimes I think that how wonderful it is if I can use C++ to invoke STL library to write programs on the embedded system, then I can use some of the knowledge which I already had to make my wish reality. Finally Raspberry Pi came to my sight one day. A Raspberry Pi which installed with Arch Linux ARM acts like a full functional desktop computer and I can write C++ programs with not much difference as that on x86 computers! 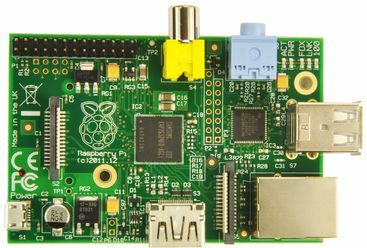 And the Raspberry Pi has a super low price, super low power consumption, ultra small size, all these combined together make my dream of "do something" reality. That's why I love Pi so much. Although I'm not as brilliant as those talented people and I'm not able to use it to design an amazing system, I still found my joy from it.